A few weeks ago I took part in my first ever Facebook Live event – imagine a cross between a regular whisky tasting, where you physically turn up to a venue in person and speak to other real life human beings face to face, and a tweet tasting, where a bunch of whisky nerds get sent samples, log on to Twitter at a pre-arranged time and talk to each other about these samples solely on Twitter. 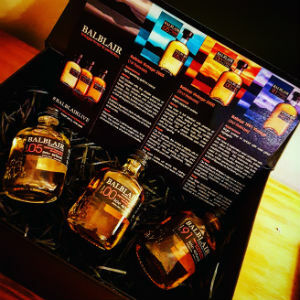 If you’re not familiar with tweet tastings, or would like to get involved in one, check out Steve Rush’s The Whisky Wire website here. Anyway, a Facebook Live tasting is a cross between the two, where you can actually see the people hosting the tasting on a live feed on Facebook but you can participate in the comfort of your own home, wearing your Star Wars pyjamas and enjoying a face mask. Just me? 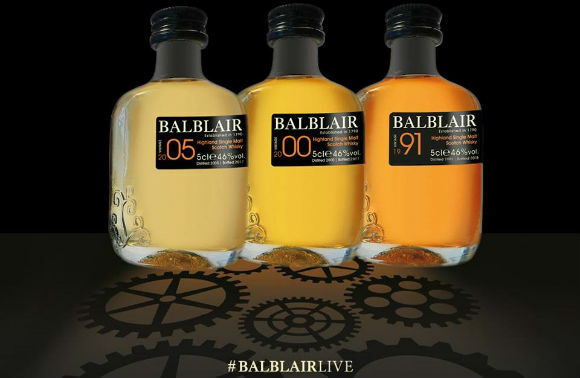 Regardless, the #BalblairLive event consisted of Inverhouse Global Brand Ambassador Lukasz Dynowiak (formerly of EWB fame) and Inverhouse Maturation and Spirit Quality Manager Mark Williamson hosting a tasting of three new whiskies starting with the 2005 Vintage 1st Release followed by the 2000 Vintage 2nd Release and finally the 1991 Vintage 3rd Release. I have to admit, I wasn’t sure how this was going to play out – sometimes these online-only launches are a bit staccato and awkward but it genuinely worked. In between introducing the whiskies, Lukasz and Mark took questions from the comments thread on the event, threw in some anecdotes and generally entertained those taking part. Lukasz didn’t even pay me to say that. Honest. So, to the whiskies. 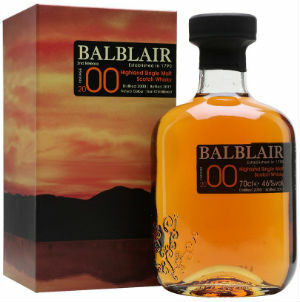 The 2005 Vintage is approximately 12 years old and has been matured entirely in ex-bourbon casks, whereas the 2000 Vintage is around 17 years and its maturation has been split, with the whisky spending around 12 years in ex-bourbon casks before a 4-5 year finishing period in first-fill European Oak sherry butts. 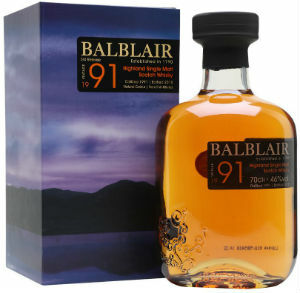 The 1991 has also been predominantly matured in ex-bourbon casks, with a shorter finishing time of 2-3 years in first-fill European Oak sherry butts. Here’s my take on all three expressions. Nose: Creamy vanilla, unripe banana, pineapple, green apples and sawdust. Palate: Almost chalky texture, with lemon curd, custard creams, marzipan, cherry drops and marshmallow. Finish: The vanilla dominates with some fresh, new oak. Nose: Red apples and ripe pears, along with faint perfume note and some floral notes. Then, juicy currants and berries, with cherry loaf, orange peel and apricots. Finish: Chocolate orange, more polished oak, and some cinnamon. Nose: Bakewell tart, marzipan, stewed apple and rhubarb rock to begin. Then there’s some cinnamon, toasted coconut, charred pineapple and beeswax. White pepper, gentle clove and sawdust give a good depth. Palate: Violets right at start soon give way to tinned peaches, dried mango, honey, and Danish pastries. There’s quite a strong malty backbone, with chocolate, sweet leather and cinnamon along with some ginger loaf. Finish: Really juicy oak balances nicely with leathery tannins, firm woodspice and toasted coconut. Overall: Three very interesting expressions. I still think the 2005 is a bit on the spirity/simple side of things, but there’s a lovely creamy sweetness to it which makes for a very easy drinker. I’m kinda torn between 2000 and the 1991 – both have very good complexity and are well balanced, and let’s not forget the price point; a 17yo for £68.25 and a 27yo for £122 is very good value in today’s market, particularly the latter price. Actually, that settles it… trade yourself up and go for the 1991 Vintage. This entry was posted	on Saturday, March 24th, 2018 at 11:32 am	and is filed under Reviews. You can follow any responses to this entry through the RSS 2.0 feed. You can leave a response, or trackback from your own site.